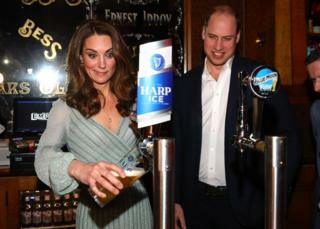 Image caption The Duchess of Cambridge pulls a pint with the Duke of Cambridge during their visit to Belfast Empire Hall. The couple are on a two-day visit to Northern Ireland, focusing on children and young people. 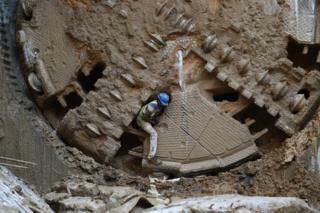 Image caption A worker emerges from a boring machine after it broke though the east-bound tunnel of the Gujarat Metro rail system in in Ahmedabad, India. The construction work is part of the Gandhinagar Metro rail project. 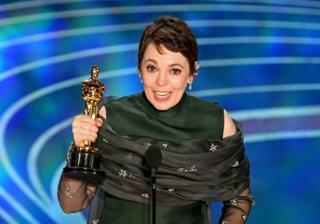 Image caption At the Oscars, Olivia Colman won the best actress award for her role as Queen Anne in The Favourite. She gave a heartfelt speech, saying: "It's genuinely quite stressful. This is hilarious. I got an Oscar!" 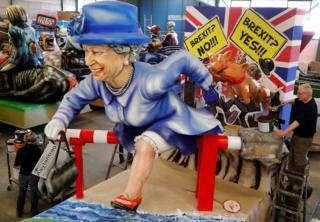 Image caption A papier-mache model of Queen Elizabeth running towards the EU is seen during a presentation of floats for the upcoming Rose Monday parade in Mainz, Germany. 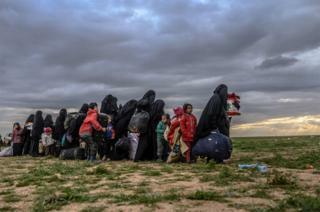 Image caption Women and children wait to be searched by members of the Kurdish-led Syrian Democratic Forces after leaving the Islamic State group's last holdout of Baghouz, in Syria's northern Deir Ezzor province. 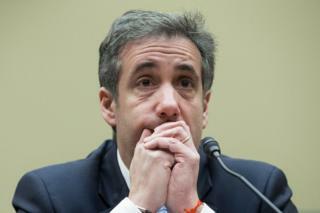 Image caption Michael Cohen, former lawyer to US President Donald Trump, listens to the closing remarks of House Oversight and Reform Committee Chairman Elijah Cummings in Washington. Mr Cohen has been giving testimony to Congress in relation to the Trump Tower Moscow project and Cohen's facilitation of hush money payments to two women who allegedly had affairs with Mr Trump. 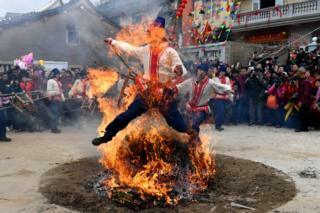 Image caption Men jump through fire to pray for well-being, safety and peace in Puxi Ancient City, Putian, in the Fujian Province of China. 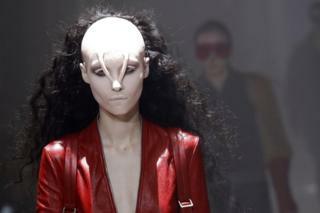 Image caption A model wearing facial prosthetics shows off a creation by fashion designer Rick Owens at the Fall-Winter 2019/2020 Ready-to-Wear fashion show in Paris. 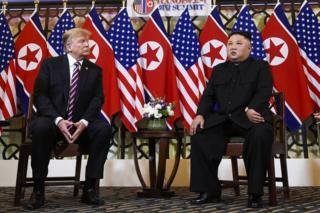 Image caption US President Donald Trump listens to North Korea's leader Kim Jong Un during a summit meeting in Hanoi, Vietnam. 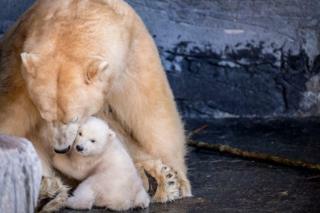 Image caption A polar bear cub is seen outdoors for the first time in Copenhagen Zoo.